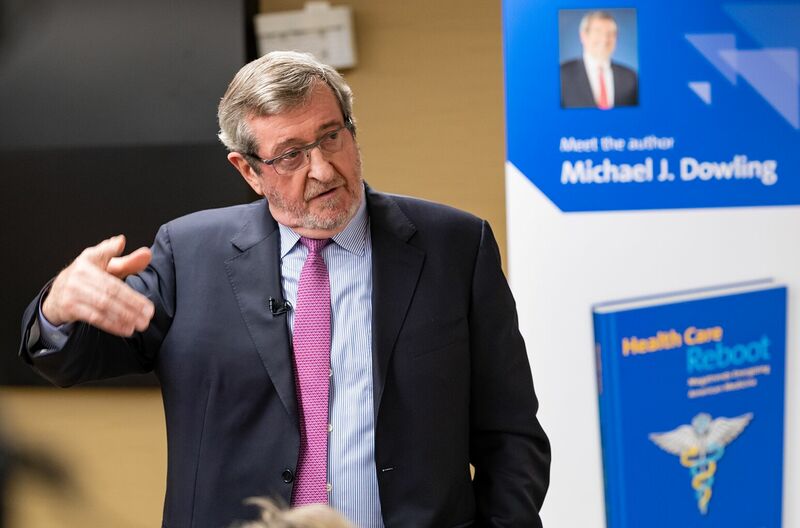 Michael Dowling explains the importance of hospital mergers and organic growth to surviving in today’s marketplace in this Health Story podcast. In their recent book, Health Care Reboot: Megatrends Energizing American Medicine (Forbes Books), and the finale of our three-part Health Story podcast segment, Michael J. Dowling, Northwell Health president and chief executive officer and coauthor Charles Kenney discuss hospital consolidations and the health system model as a way to coordinate and improve health care and also look at the latest trends shaping US health care policy. Health Story offers patient experiences and the latest innovations and health trends. Health Care Reboot takes an optimistic view of the US health system by focusing on measures and outcomes that mean the most to patients, paying for value rather than volume and causing doctors and hospitals to shift to a newly aggressive proactive approach to caring for patients. The book is available for purchase online and at booksellers everywhere.